Who says gated communities in coveted snow-free zones have to be pricey? In Leesburg, Florida, there’s a beautiful, lakeside community called Lake Griffin Harbor that offers an affordable, active lifestyle for residents ages 55 and older. Lake Griffin Harbor is a development of well-maintained manufactured homes clustered next to stunning Lake Griffin, which stretches seven miles and connects with other waterways that ultimately lead to the Atlantic Ocean. 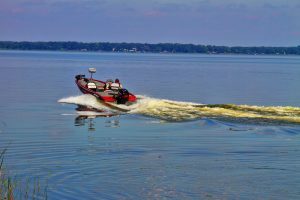 It’s a boater’s paradise that’s hard to beat among gated communities anywhere, much less in the Sunshine State, where mature adults from all over the nation routinely seek to enjoy life in a subtropical climate with plenty of activities to choose from. We invite you to learn more about how Lake Griffin Harbor in Leesburg, FL, offers an affordable lifestyle that’s tough to match among gated communities in this sought-after location. Contact our Lifestyle Team for more information and to arrange a tour.